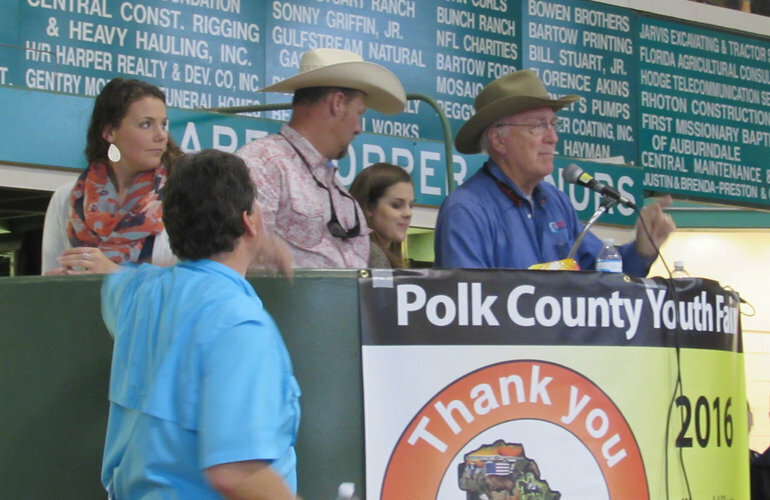 The Bartow Agriculture Center was teaming with families and organizations from all over Polk County to support the young exhibitors during the annual Polk County Youth Fair Market Hog Auction Tuesday, January 26, 2016. Seated stage right, Bartow Ford’s Denny Mullis and Joe Ciferni were among the many bidders. Purchasing 38 hogs, the pair began their involvement 16 years ago in the early 2000’s. 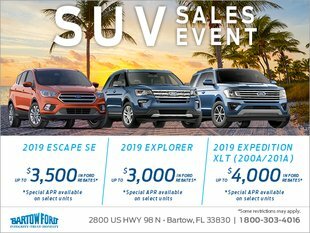 Believing that the Youth Fair teaches young adults leadership and responsibility, Bartow Ford takes the time to donate a portion of the hogs back to local charities once the auction comes to a close. Bartow Ford’s involvement has spurred a movement among other local companies to join in during auction time, creating awareness for the 4-H and FFA organizations.